(November 15, 2018 -- Phoenix, AZ) Phoenix area entrepreneurs Shelley Bade and Jill Pogrant are proud to announce the conversion of their four My Office® Business Suites locations to Office Evolution franchises. Their locations add Peoria, Surprise, North Phoenix and Central Phoenix to the Office Evolution system. The support of Office Evolution, a national B2B franchise that offers coworking spaces, virtual office services and fully furnished suites to independent professionals and small business owners, will provide local entrepreneurs with additional resources, tools and products to help run and grow their businesses. 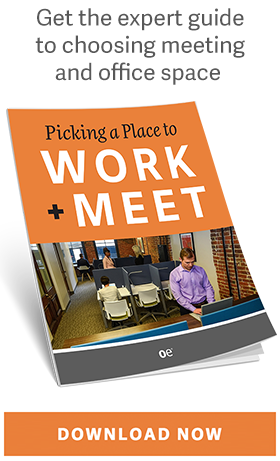 As part of the Office Evolution franchise system, members can still choose from several similar packages including hourly, daily, month-to-month and long-term rentals. These packages include professional address and mail services along with telephone answering. All four locations offer 24/7 access, with private offices and collaborative spaces for conferencing and training. Before opening the first My Office® location in 2009, Pogrant owned a travel agency and operated the business out of her home. She was faced with a common dilemma: invite clients to her home, or meet them at their homes. After connecting with Bade, an experienced commercial real estate broker, at a networking event, Pogrant was introduced to the concept of executive suites, a place where small business owners can have a professional presence at an affordable price. The conversation sparked an idea that led the two to create My Office®. Since then, Phoenix has become one of the healthiest small business climates in the nation and shows no signs of slowing down, creating great opportunity for Pogrant and Bade to support independent business professionals looking for shared office space. Hemmeter’s vision for Office Evolution is to provide entrepreneurs with a highly professional coworking space that offers flexible solutions, monthly memberships and all-inclusive pricing. The brand’s expansion in Arizona is reflective of the demand for a model like Office Evolution’s. By offering conference rooms as well as private and shared office spaces, professionals can connect with peers or have an all-inclusive area to call their own. Office Evolution is a Colorado-based national B2B franchise offering co-working spaces, virtual office services, and fully furnished offices and suites. The company built and successfully operated seven business centers across the Colorado Front Range before beginning to franchise in 2012. To date, they have awarded 129 franchise locations throughout the United States. Please visit www.officeevolution.com for more company information. For more information on Office Evolution’s franchising opportunities, visit www.officeevolutionfranchise.com or call 877.475.6300.